Take advantage of our exclusive services, designed to meet your product and ordering needs. Don’t see the service that you’re looking for? We’re listening – contact us today! “Close enough” isn’t good enough when it comes to communicating safety messages. We can help you precisely define potential hazards, meeting nearly any custom need – from size to format to material. Unsure if your safety labels are up-to-date? Our experts can work with you to assess them, ensuring that they meet today’s requirements and best practices. 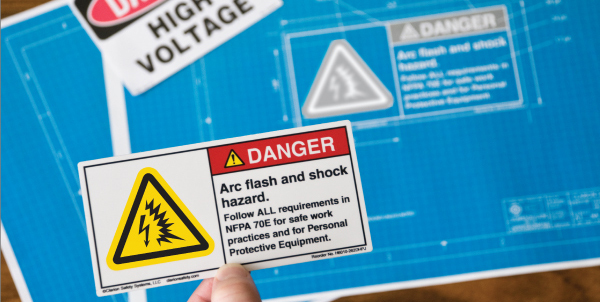 Multilingual safety labels and signs are the right choice for many product manufacturers and workplaces. Easily and precisely translate your message with our expertise. A customer favorite! We can produce kits for added efficiency and safety, where all the labels or signs needed for a specific product or facility location arrive as one complete package. Need your order as soon as possible? Not a problem! For your convenience, we offer the option to ‘fast track’ your purchase – an expedited option that typically provides a 24-hour turnaround time. Need a quote for one of our safety sign or label products? Now you can easily submit your request online! For your convenience, you can send us your purchase order online. It’s simple – just upload a file or enter your order details! Use our confidential and secure online application form to set up payment terms to be applied to your future orders.